Two hundred years ago, Georgetown was renowned for the flour shipped from its port across the country. 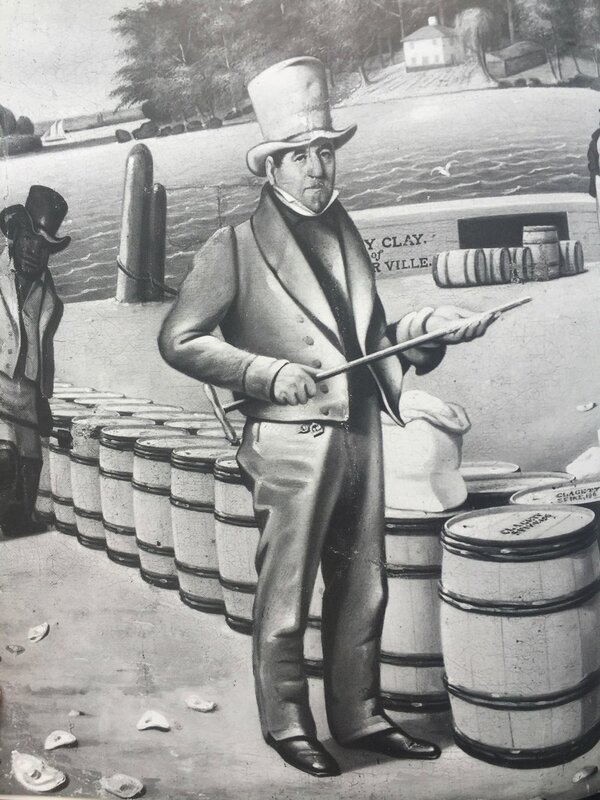 This illustration from Steve's book is of the Port of Georgetown's flour inspector, George Shoemaker. First question on the #LunchAgenda today: where are the women in bread?? After theorizing about that, today's guests helped uncover the history of grain agriculture and milling in the Mid-Atlantic, and explored how farmers might revitalize a local grain community moving forward. I sat with Steve Dryden, Executive Director of Friends of Peirce Mill (located in DC's Rock Creek Park) and author of Peirce Mill: Two Hundred Years in the Nation's Capital, along with Jason Wight, a University of Maryland researcher who studies efficiency and environmental implications of grain agriculture, and works on the US National Arboretum's Waves of Grain display. It's easy to get breaducated at Peirce Mill if you're in DC this spring: Steve let us know that the Mill re-opens in April, to explore Wednesdays-Sundays from 10 am - 4 pm. And Jason encouraged listeners to seek out flour from Glenn Roberts at Anson Mills. Steve writes in his book, "The miller was America’s first industrial inventor. He was a builder, banker, businessman and host to the countryside. When there was a mill site, there was a nucleus for a town. America had so many Millvilles, Milltowns, Milfords, and other towns named after original mills that the post office department sponsored the changing of many such names to stop the confusion.” His book features great historic photos and tidbits about the prized flour coming out of Georgetown's port in the 1800's!